Combine together convenience, comfort, and eco friendliness, with the Medium Cotton Canvas Yacht Tote. Imprint your company’s logo, using screen print technology, to enhance brand image. Combine together convenience, comfort, and eco friendliness, with the Medium Cotton Canvas Yacht Tote. Imprint your company’s logo, using screen print technology, to enhance brand image. It is made of 24 oz. canvas material and has an outside pocket for additional storage. The 30" handles make it easy to carry the tote for daily use. 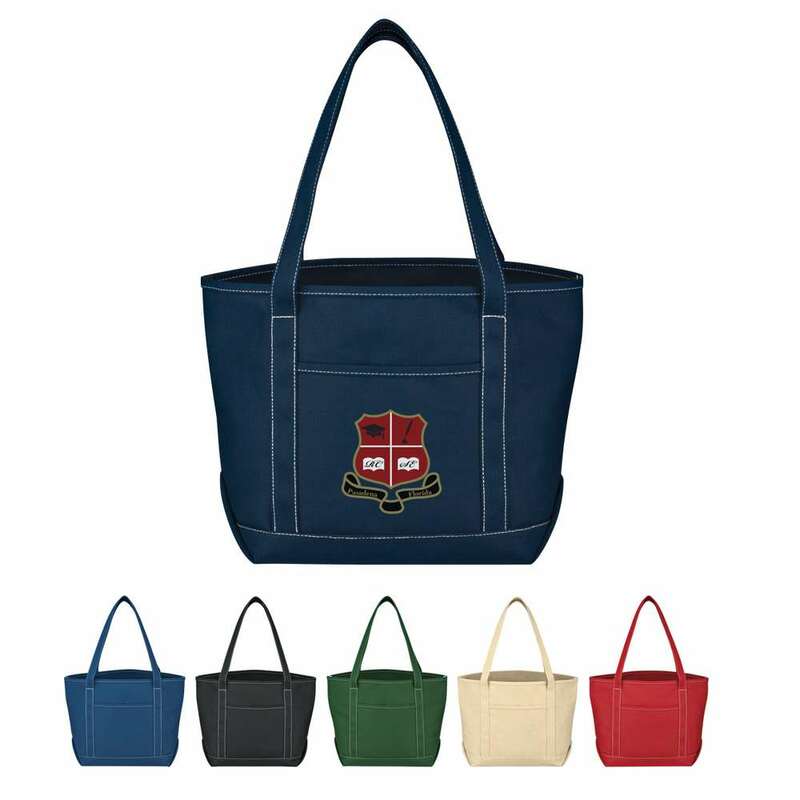 The tote is available in natural, black, royal blue, navy, red, and forest green colors. Giveaway the cotton tote at malls and trade shows, to gain widespread attention for your brand.